Our founder Mike Sadler walks the talk. Growing up watching auto races at Road Atlanta ignited a lifelong passion for precision and speed. Not one to languish behind a desk, during college he not only spent his spare time (well, maybe a little more than just ‘spare’ time) at typical sporting activities, he attended the British School of Motor Racing, learned to fly and earned his private pilots license. 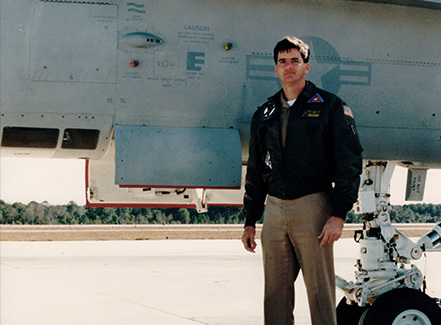 These pursuits led to a career in the United States Navy, gaining a commission through Aviation Officer Candidate School and eventually earning his Naval Aviator “Wings of Gold” in 1987. His first fleet assignment was as a Strike Fighter Pilot flying the F/A-18C, where he deployed onboard the USS Saratoga flying missions in support of Operations Desert Shield and Desert Storm. Mike left active duty to pursue an airline career in 1992, but continued to fly and serve in the Naval Reserves and Air Force Reserves until 2004 and never lost his desire for thrill and excitement. 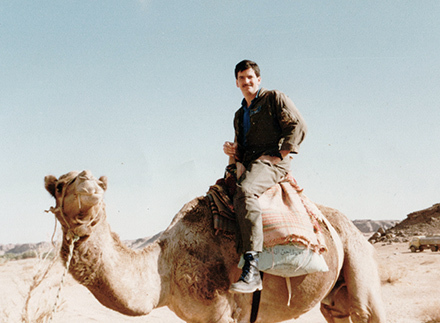 His unwavering quest for adventure and desire to connect those who share his passion is the inspiration behind our exceptional products and vibrant online community.